There are a lot of low-cost grills on the market these days, but all too often these grills are of very low quality. Fortunately, there are exceptions to the rule, as the Broil-Mate model 165154 shows. This Broil-Mate grill model may not be fancy or high quality, but for the price (it sells for as little as $229 in some places). 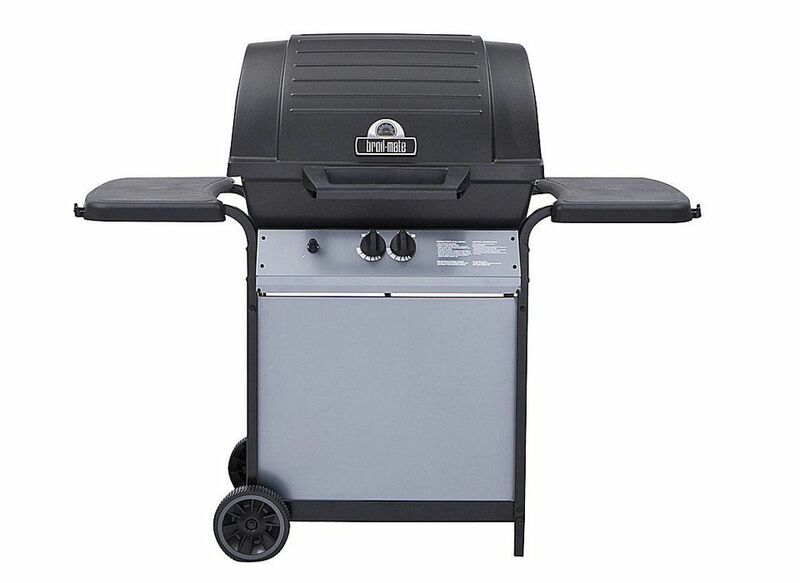 it is a well-built grill with a cast aluminum body and a dual control burner (dual zone cooking). This grill certainly won't last forever but it will outlast most comparably priced units. If you don't have a lot to spend, then you owe it to yourself to seek this grill out. Onward manufacturing makes many grills including the popular and high-quality Broil King line. Broil-Mate is their discount grill brand that offers grill models for a good price but with many of the same features that you normally find in their more expensive units. While still a discount gas grill, this is a much better unit than comparable grills. You may, however, have trouble finding this model, so call around. the only problem is locating one. Currently, Broil-Mate grills are carried at Ace Hardware, Do-It-Best, and Value Home Centers. Or, you may need to order it from an online retailer. Be aware, too, that all grill manufacturers change their model offerings regularly. If the 165154 is not available, look for a comparable model with the same specifications listed above. It may well be virtually the same grill, just with a different model number. While most of the gas grills selling for under $250 have switched from cast aluminum bodies to painted sheet metal, Broil-Mate hasn't done this. This means the grill has a more durable body that can hold in heat better and should last longer than similarly priced units. Add to this a good quality stainless steel burner, heavier cooking grates, and Onward Manufacturing's linear flow control values, and you get a basic grill of very good quality. In addition, this grill has good heat output. Onward Manufacturing is a Canadian company and they build their grills to work through the Canadian winter. This large grill (400 square inches of primary cooking space) has a 40,000 BTU maximum output and a design that gets heat to your food. The performance of this grill is excellent, but flare-ups can be an issue. For the price, this is an excellent LP gas grill.